Currently viewing the category: "Fair Elections"
Did you ever have one of those moments when you read something and then you have to go back and read and reread it again, thinking you missed something in the first couple of reads? COLUMBUS, Ohio — In the state’s largest county and metropolitan area, Republicans are attempting to suppress votes by shutting down a public education campaign about early voting. Franklin County GOP officials Doug Preisse and Brad Sinnott have “made voter education a partisan issue,” says Andrew Ginther, the Democratic mayor of Columbus. Mike DeWine has lied his way through every single step of his gubernatorial campaign. The Republican candidate for governor in Ohio is the latest in a long line of GOP officials who will shamelessly lie, cheat and steal to gain power by any means necessary. Combing through the lengthy archives of Politifact or the Columbus Dispatch’s AdWatch reveals just how often DeWine outright lies to or misleads Ohio’s voters. In all honesty, it’s difficult to keep track of how often DeWine lies to our faces, but here’s my best effort. The voter suppression disgrace in Georgia is hardly a surprise for a Republican Party that has vigorously sought ways for years to hold on to power on Election Day. Emboldened by a corrupt president who complained that three million fraudulent votes led to his deficit in the popular vote in 2016, the GOP’s minions in a number of states continue their efforts to disenfranchise the “colored” – as a party leader once described them to me a quarter-century ago. Political corruption has been at the forefront of public discourse in this country for the better part of the last decade. Ohioans, and Americans as a whole, are justifiably sick and tired of seeing their elected representatives being bought and paid for by special interest groups and with large wads of cash from corporations, lobbying firms and all manner of seedy factions. Is Renacci Using Taxpayer Funds For Political Advertising? Jim Renacci may be pushing the limit on Congressional rules for Facebook advertising on the taxpayer dime to shore up his weaknesses as he attempts to defeat Sherrod Brown for the U.S. Senate. 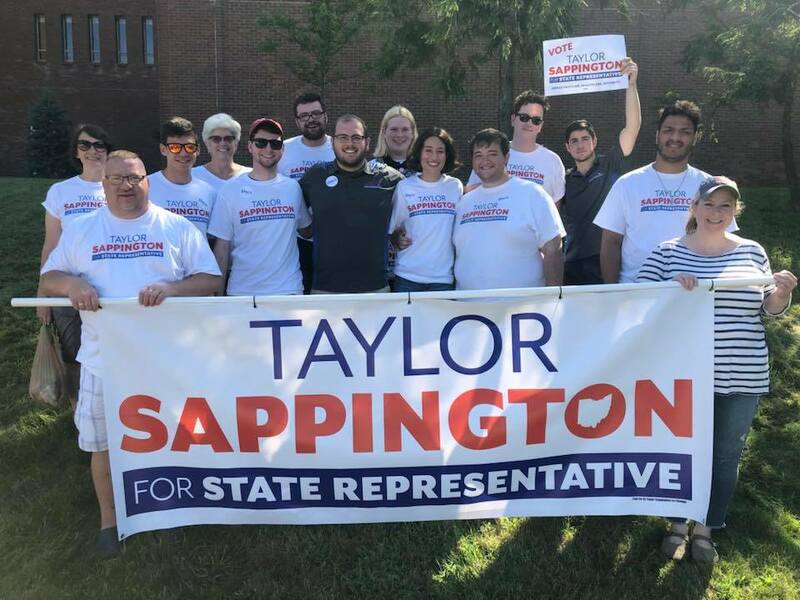 Nelsonville City Councilman and 94th District State Representative Candidate Taylor Sappington announced on social media that he will not accept money from corporations or billionaires. After an eternity of denials by Republican leaders that they were interested in suppressing the minority vote, it was encouraging to hear a Democratic candidate come along for Secretary of State to clean up the other party’s act. Ohio is eligible for millions in new federal money to secure our aging elections systems, thanks to new funding approved in the recently-enacted federal spending bill. Now, it’s up to John Kasich and Jon Husted to act. We hear that citizens across the country are more engaged and paying attention to politics like never before. But does it even matter? Last month, in Ohio, it clearly did. Last night, Senate Republicans went back on a promise to move forward on a Congressional redistricting plan if they couldn’t get buy in from the Fair Districts coalition. The next big development could come this morning.